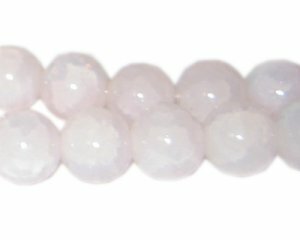 These are 12mm Rose Quartz-Style Glass Beads, approx. 18 beads on an 8" string. I love the beads I have bought so far.gonna buy some more.